Handmade Detroit | Still Need Gifts? Shop Detroit Mercantile for the Holidays! Still Need Gifts? Shop Detroit Mercantile for the Holidays! I don’t know about you, but I still need to finish off my holiday shopping list! I shopped at Detroit Urban Craft Fair and a few other local craft fairs for presents, but I always end up adding a few more people to the list (and way too many things on my list of gifts for my kids). Good thing we’ve got a bunch of great gift shops in Detroit that all of us procrastinators can shop at and support local makers at the same time! One of my favorites is Detroit Mercantile, who is also a Detroit Urban Craft Fair sponsor. 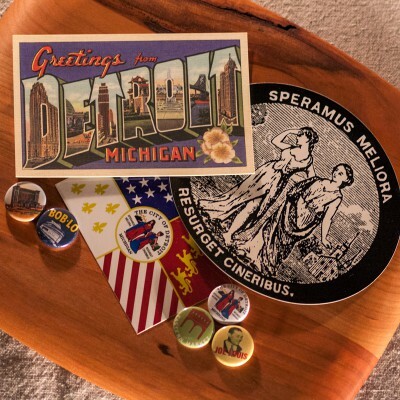 Detroit Mercantile has lots of Michigan Makers and brands inside it’s walls – Uncle Goose blocks, Detroit Rose candles, Stormy Kromer wool hats, Corbe ceramics, Pewabic Pottery tiles, Tait Designs Turbo Flyer, Detroit Denim dog leashes and Carhartt coats & hats. 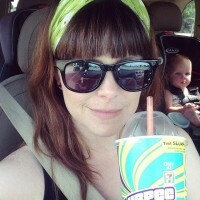 The list seriously goes on & on, but I’m gonna stop here and let you explore them all at the store. Of course, they’ve got TONS of Michigan themed gifts too, from clothing for men, women and kids to housewares. Most of their gifts are new, but the Mercantile also has a fantastic mix of vintage goodies mixed in throughout the shop – vintage taxidermy, pennants, Vernor’s memorabilia…I even saw a bolt of Stroh’s fabric in there once! 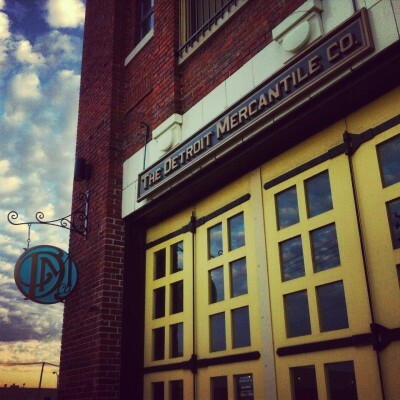 Detroit Mercantile is located in Eastern Market at 3434 Russell St (perfect for stopping in on your way to the Sheds for groceries!). Can’t make it to the store? 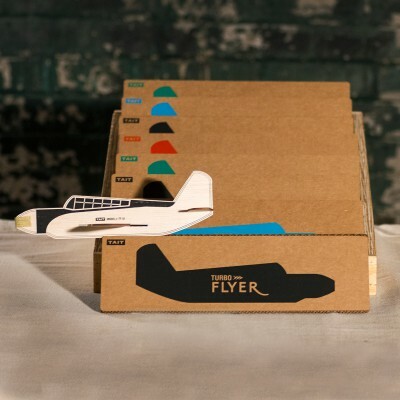 You can shop a big selection on the Detroit Mercantile website too.